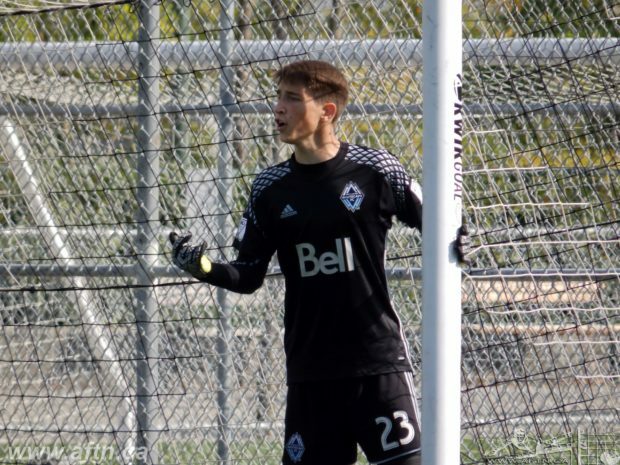 If there’s one position the Vancouver Whitecaps Residency program has been stacked in these last few years, it’s the goalkeeping one. The conveyor belt of top talent that’s come through the Residency is impressive. Current Ottawa Fury keeper Callum Irving started the ball rolling in 2012. 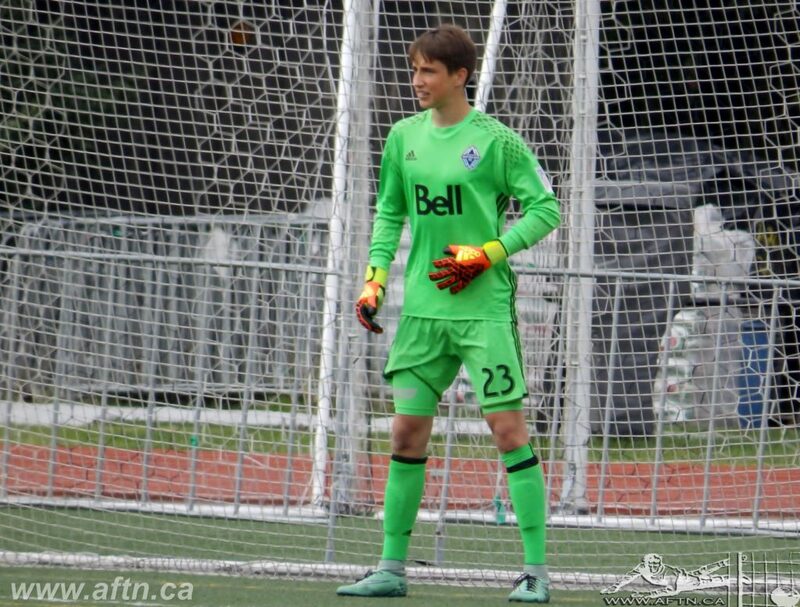 Since then we’ve seen current WFC2 keeper Sean Melvin, Marco Carducci, Nolan Wirth, and others come through the program. The latest keeper to impress is Thomas Hasal. 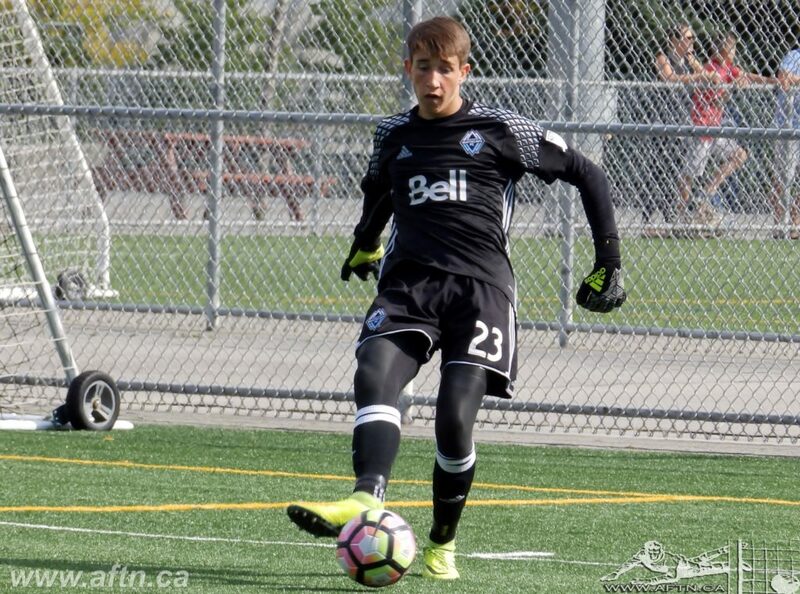 The 17-year-old Saskatoon native is in his first full year with the Residency here in Vancouver after coming through the Whitecaps Academy Centre in Saskatchewan. He’s been turning heads at both club and international level these past couple of years and when the chance came to make the move west and join the Residency program here full time in August last year, it was an opportunity he grabbed with both hands. “It’s been really good,” Hasal told AFTN. “The environment is great and the training environment is perfect. Born in Cambridge, Ontario, Hasal and his family moved around Canada before settling in Saskatoon when he was 9-years-old. Players from Saskatchewan making it in the pro game have been few and far between, with Brett Levis blazing the trail for the current generation of players after signing first a USL, and then a MLS deal with the Whitecaps. Levis played PDL for the ‘Caps while at college with the University of Saskatchewan Huskies. There was no Whitecaps academy when he was growing up in Saskatoon. Nowadays, there is a clear pathway from youth football to the Vancouver first team, with WFC2 full of players that have come through the ‘Caps youth ranks. All of which is good news for Hasal and the current crop of Residency players. Hasal is a clear talent and one for the future. He’s played as a keeper since his pre-teen years, but it wasn’t always that way. He started as an outfield player before a keeper injury saw him thrust between the sticks in a youth game back in Toronto. He hasn’t look back since, finding his natural position and improving year upon year. They always say you have to be a certain kind of person to be a goalkeeper. Hasal loves it. He loves the buzz he gets as the last line of defence and all the pressure that comes with that. And he’s modelled parts of his game on two of the finest goalkeepers in modern day football, Arsenal’s Petr Čech and current Porto and former Real Madrid stopper, Iker Casillas. Both of whom Hasal admires greatly. “With Čech, my grandparents are from the Czech Republic,” Hasal revealed. “They bought me a Petr Čech jersey when I was little, so I’ve grown up watching him play. 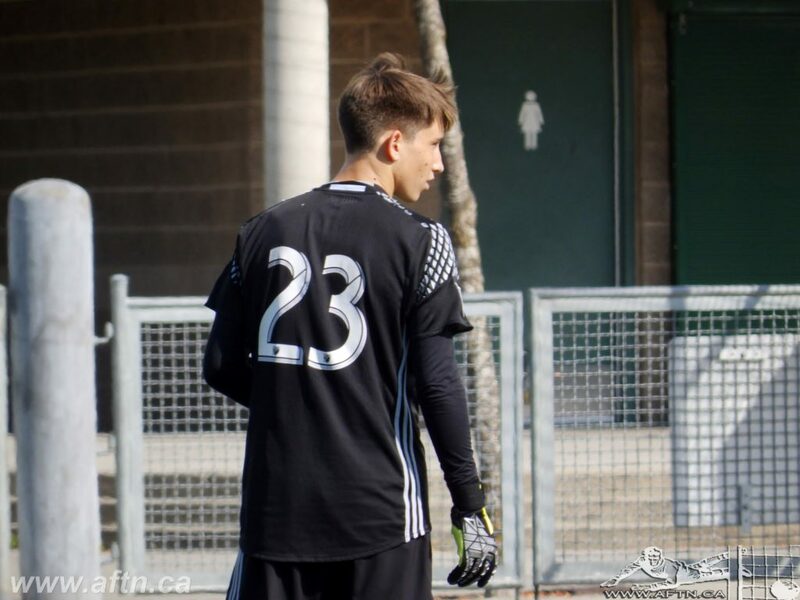 Hasal heads into the USSDA playoffs this week likely to be the U18’s starting goalkeeper. He’s split his time this season with Aidan Aylward, making 12 appearances on the year after being away for a lot of the season with the Canadian national team. This will be Hasal’s first taste of the playoffs, but he’s surrounded with a number of players on both the Residency and USL squads that have been through it all the past couple of years with the U18s and U16s and he’s been picking their brains about what to expect. The 10th seeded U18s find themselves in a tough group alongside fellow MLS academies Real Salt Lake AZ and Columbus Crew, with Dallas Texans the other team they will battle it out with. RSL are the only side of those that the ‘Caps have already faced this season, suffering a 2-0 defeat in the second week of the season. It’s a much more cohesive ‘Caps side since that match and the chance of revenge against the 4th seeds is certainly motivating Hasal and the team. The playoffs are just the latest part of a massive 2017 for Hasal. In February, he was included in Canada’s U20 squad for the CONCACAF Men’s Under-20 Championships in Costa Rica, the region’s qualifiers for the FIFA U20 World Cup. Hasal started all three matches and played every minute of Canada’s campaign. One win and two losses weren’t what everyone was hoping for from Canada heading into the tournament, but putting the disappointment of non-qualification aside, it was a great learning experience for the young keeper, who has previously been involved with Canada U18s before. Playing at the higher age range doesn’t faze him one bit. It’s something he’s used to from his days in Saskatchewan, where he ended up playing in the local adult leagues against players much, much older than himself. “It was good,” Hasal said. “A lot of the University guys, I played on a team with them and knowing them helped a lot. We played in an indoor turf league, then there was a boarded league. Hasal still has another season of eligibility left with the Whitecaps Residency program, and although he would have a few college options awaiting him, his mind is solely focused on one thing – securing a pro deal . Expect those dreams to come true in the near future.